Evoke memories from beautiful Grenada or keep the love of the Rastafarian faith top of mind. 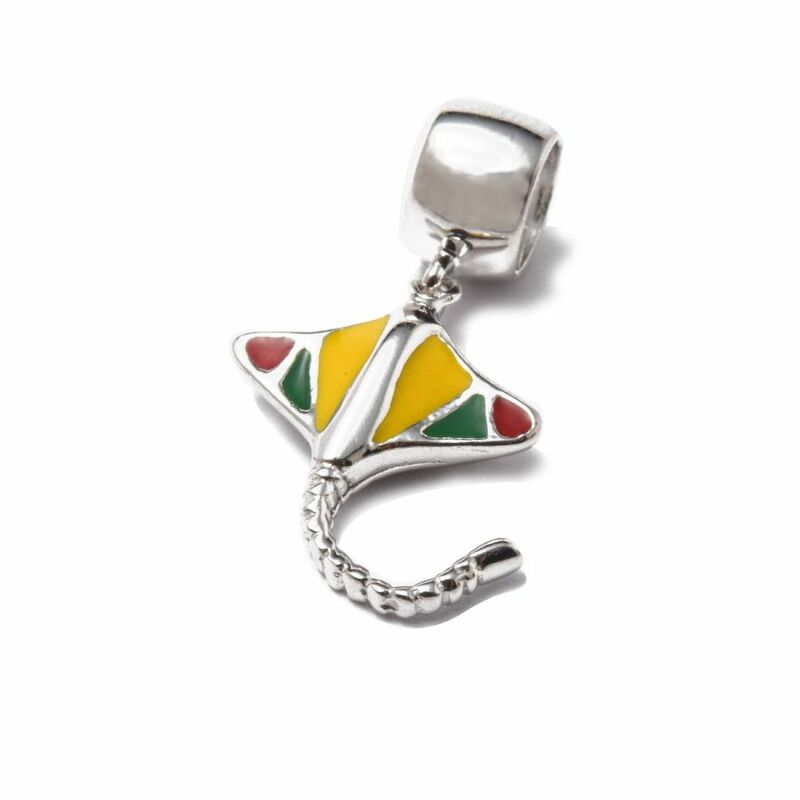 Sterling silver is combined with red, green and yellow enamel attractively covering the stingray’s back. All charms are approximately 10mm in size with a 5mm diameter hole.